Cash for Cars Adelaide services Adelaide and its inner suburbs with outstanding cash for car and car removal services. Contact Cash for Cars Adelaide for an instant cash quote for your removal. From Auldana to Vale Park, we are your services provider for car removals that pay cash. Not too many car owners these days expect a FREE removal, and why should they? Many removal companies require car owners to pay to have their car removed. 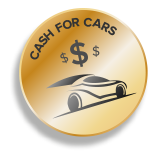 At Cash for Cars Adelaide, we have always provided cash payments AND free removals. We are a legitimate Car Wrecker in Adelaide that pays cash for cars of every make and condition and comes to the location of our local customers mostly in Lonsdale and Wingfield to remove their cars for free. When we buy your car, expect quality car removal services that are fast and convenient. With our expertise and reputation, there is no doubt that you will get fast service and instant cash for your car. We resale used cars, recycle scrap and old cars, and wreck damaged and accident cars. With Cash for Cars Adelaide, you have a top cash buyer that you can trust for a fair cash price for your car. When your choice of a Car Removal, wrecker, or cash for cars company is Cash for Cars Adelaide, you have made a good choice. We are a legitimate company with years of experience in the industry, and one that is trustworthy. Our team has the experience required to handle removals of all sizes. So, whether you want to sell one car, multiple cars or trucks or even buses, we can handle them all with ease. We love to make our best or highest offer for every make and condition of a car, ensuring that car sellers walk away with a nice big profit. There is no reason not to consider giving us a call for a quote as our quotes are non-obligational, with no pressure to accept. We guarantee professional services that will leave you feeling satisfied that you have chosen the right car buyer. To get your car sold to us, we require that you contact us for a quote, and accept the quote. Both ways to obtain cash quotes are quick and convenient. Once quotes are accepted, it is up to the sellers to let us know when they would like us to come to remove their vehicles. At the time of the removals, we provide all paperwork and the cash payments for the cars.